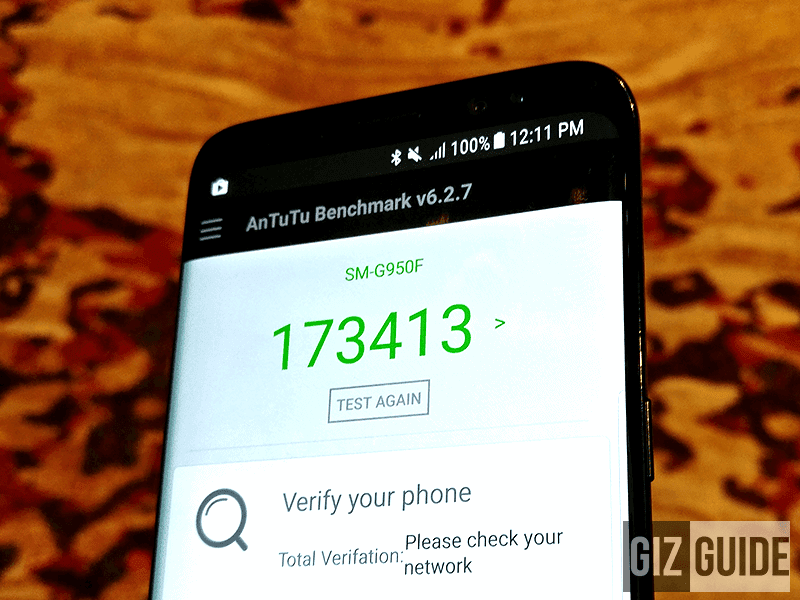 Samsung Galaxy S8 And Galaxy S8+ Got An Antutu Score Of 173K! Home / mobile / news / samsung / Samsung Galaxy S8 And Galaxy S8+ Got An Antutu Score Of 173K! Both the Samsung Galaxy S8 and Galaxy S8+ are two of the first few phones to load with a 10 nm chip. Here in the Philippines we have the Exynos 8895 variant. The question is, how will it perform in popular benchmark apps like Antutu? Can this device top the current leaders in scores? The answer is yes for Android smartphones and statistically tied for iPhone. The Exynos variant of the Galaxy S8 and Galaxy S8+ clocked a score of over 173K. That's statistically on par with the Apple iPhone 7 and iPhone 7 Plus. Then its higher than the 143K score that the OnePlus 3T got. Now, we're also interested to know what the Snapdragon 835 version of the new Galaxy S8 series can achieve.